Are you soon coming to Cape Town and you would like to ride on the beautiful routes around the Cape or the great trails? But you don’t’ know the area too well so that you can ride for your own? 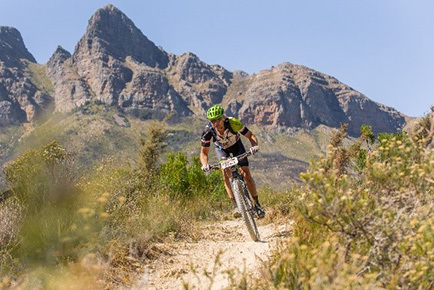 In cooperation with Andi Ettlin (3x Cape Epic Finisher) we can recommend you and your group (up to 4 people max) a guide who is familiar with the trials around Cape Town. Andi knows the streets in the Cape Peninsula inside out and calls the trails around Table Mountain, Tokai, Meerendal or Grabow (Oak Valley, Lebanon or Paul Kluiver) and much more his second home. For trips starting outside Cape Town (mostly MTB, because the trails are located on the beautiful wine farms around the cape) – Transport at the expenses of the group. Car & bike rack can be arranged with Cycle Teknix. Insurance is the responsibility of the participants. Andi Ettlin or Cycle Teknix assume no liability!